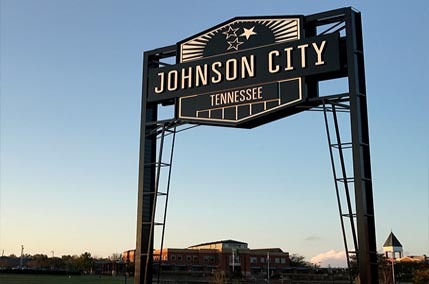 Johnson City offers a great downtown area with breweries, restaurants, bowling and many outdoor activities. Buffalo Mountain Park has beautiful views of the mountains, Tannery Knobs Mountain Bike Park offers trails for all skill levels and Founders Park often has live music and food trucks. Tweetsie Trail runs along the railroad tracks connecting Johnson City and Elizabethton. There are three golf courses Pine Oaks Golf Course, Warren-Greene Golf Center and Johnson City Country Clubs. It’s also the home of East Tennessee State University and several community colleges. © 2019 Tennessee/Virginia Regional Multiple Listing Service. All rights reserved. IDX information is provided exclusively for consumers' personal, non-commercial use, and may not be used for any purpose other than to identify prospective properties consumers may be interested in purchasing. Data is deemed reliable but is not guaranteed accurate by the MLS. Data last updated: 2019-04-18T11:59:57.623.